Christmas is when London is looking its prettiest. I find myself walking more often, obviously with a festive drink in my hand, finding my new favourite spot in the capital. So much so, i’ve decided to put together a handy guide on the top Instagrammable spots in London. 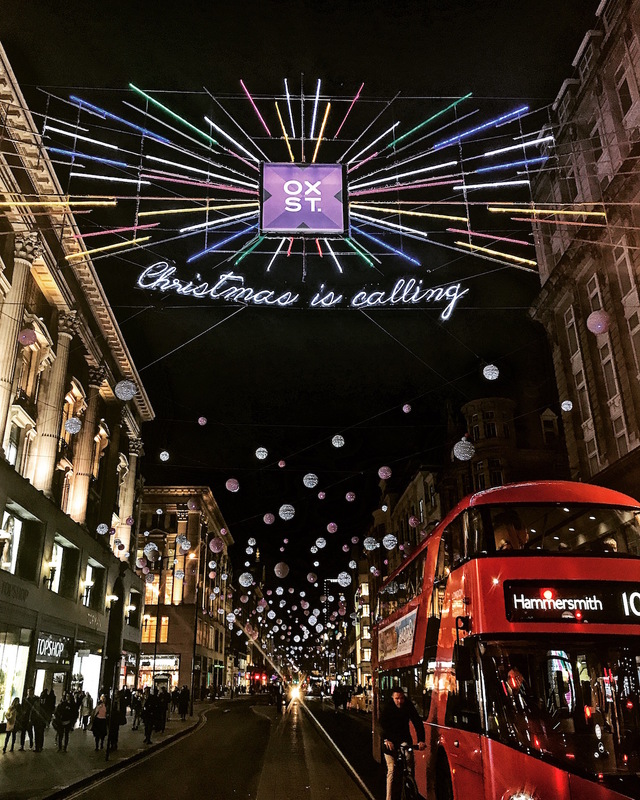 You can’t have Christmas in London without taking a look at Oxford Street’s lights. I’ll be honest, I thought last year’s was a bit disappointing but these are definitely better. The Churchill Arms in Kensington is THE Christmas pub. It only just turned its lights on this week so head there now to make the most of it. Covent Garden always has a good Christmas display but this year’s seems the best yet. I absolutely love the Minis dressed up with Christmas wreaths and presents. Definitely very British! 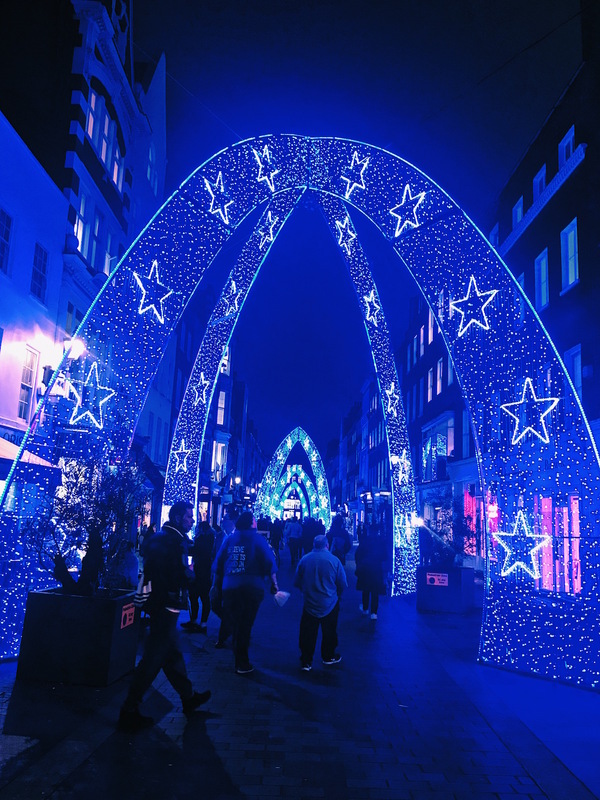 This year’s lights contain words from Queen’s Bohemian Rhapsody, in time with the release of the film. It fits with Carnaby Street’s vibe which is rather cool. Opposite Fortnum and Mason’s Burlington Arcade is home to some of the fanciest shops in the area. It’s even home to the Queen’s favourite chocolatier. If you don’t go ice-skating at the Natural History Museum, did you really celebrate Christmas? 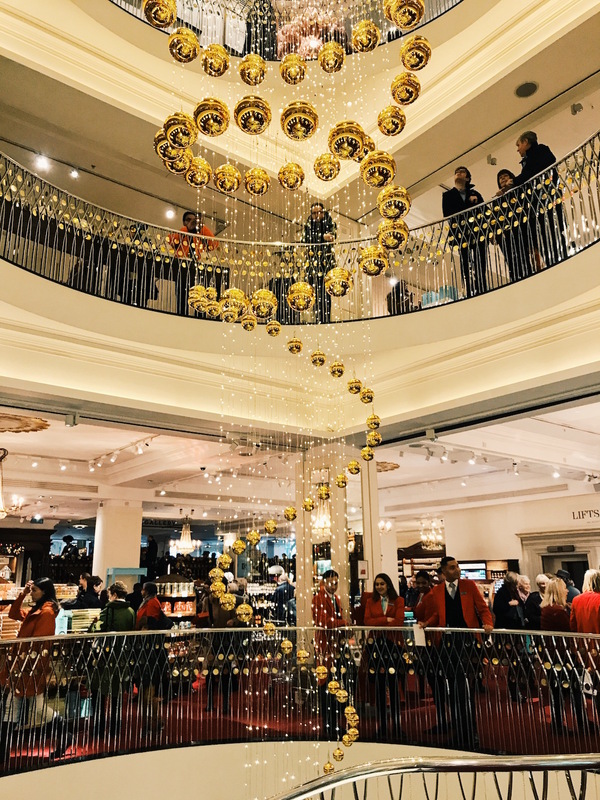 You should stop by Fortnum and Mason’s anyway to pick up some lovely tea bags and biscuits and while you’re there take a wander up the stairs and see the decorations that cascade from the top floor to the bottom. King’s Cross St Pancras has been my new favourite hangout since they opened a Kikki K there, and the fact it’s a short walk from my house. The Christmas decorations there are lovely. 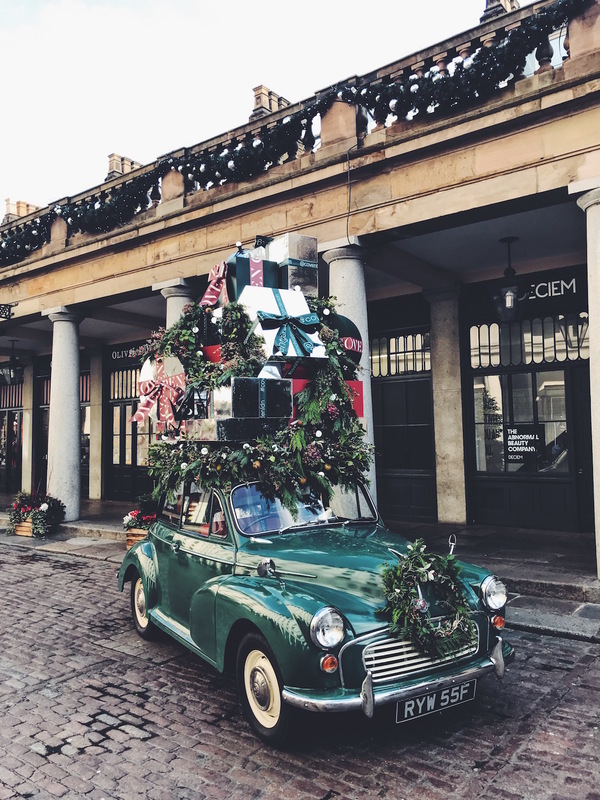 Annabel’s is one of the new instagrammable spots in London and it’s certainly dressed up for the festive period this year. 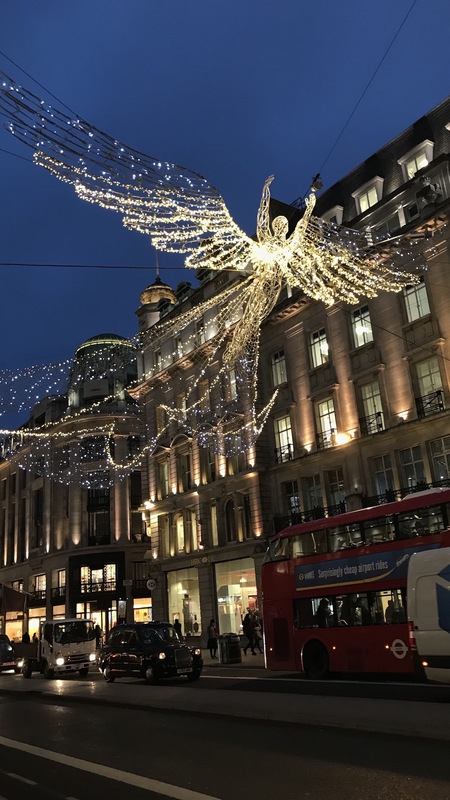 I think Regent Street’s lights are way better than the Oxford Street ones and the angels are so pretty! 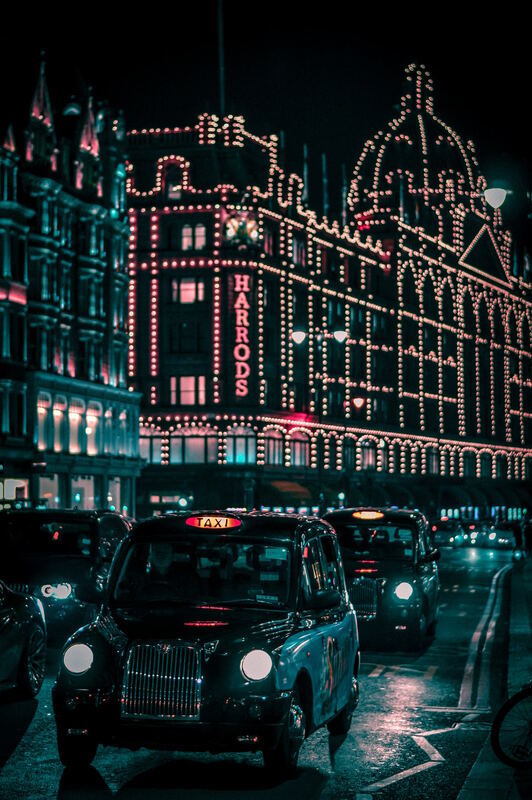 Harrod’s always looks pretty at night time but there’s definitely a Christmas feel to its lights. Also make sure you go inside for the other Christmas decorations. These beautiful arches are on a pedestrian road just close to Bond Street Station. It gets quite busy so try and go there at a non-peak hour time! The Ivy Chelsea Garden always puts on a display no matter what time of year. This Christmas, it looks like something out of a fairy tale! Are there any I missed? 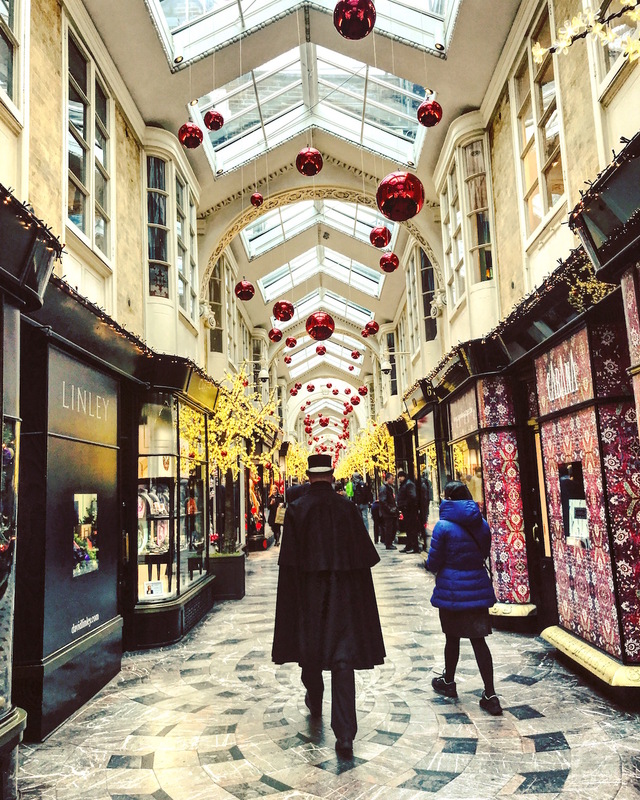 Make sure to tag me in any of your Christmas Instagram snaps of London! "Do millenials just travel to ‘Instagrammable’ places?" "48 hours in Luxembourg: 6 things to do during a trip to the city"
OMG this is such a good round-up!! I want to go to Annabel’s, Covent Garden… and I just remembered I work near King’s Cross so I know what I’m going to look at tomorrow after work!!! Thanks lady! Yes we need to go to Annabel’s! 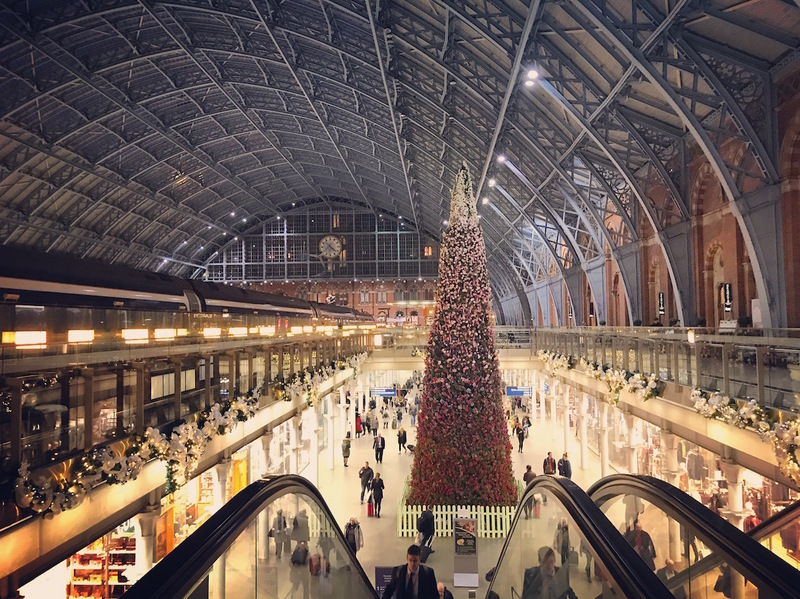 Make sure you stop by King’s Cross on your way home one day!